As a little girl, the days leading up to Christmas were so exciting! My mom was busy in the kitchen baking all of my favorite goodies....the present pile under the tree grew larger every day.....there was the anticipation of opening my stocking and then my presents.....and then playing with all my new toys. I could hardly stand the excitement! On Christmas morning, before one present had been unwrapped....we all gathered in the family room, rumpled-headed and sleepy-eyed....and my dad would open his Bible to Luke 2. And he would read the Christmas Story. The story of the Greatest Gift that ever was and ever will be. The day that Jesus was born in a manger. We did this as a way to honor Jesus and show our gratitude and remembrance for His great gift to us. 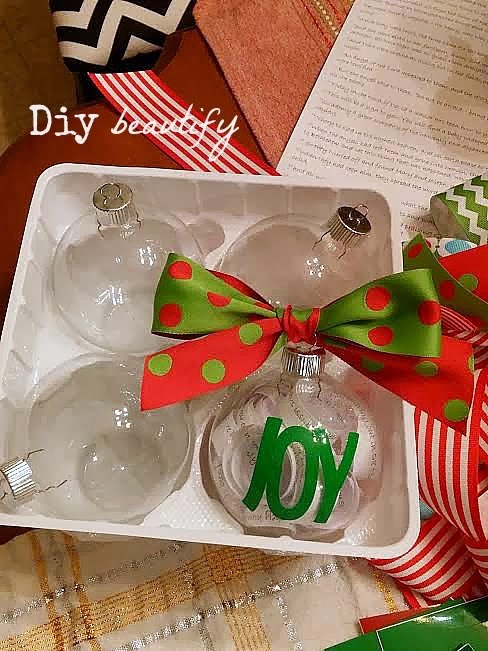 So when I was recently asked to teach an advent craft for a Ladies Bible Class at my church....I thought, what could be better than a way of remembering and preserving the Nativity Story. You may have seen ornaments created this way out of wedding invitations. This one is made by first printing out the entire story of Jesus' birth found in Luke 2:1-20. Bible Gateway is a great resource to use. You can copy the passage from there in any version you like into your word processing program. When you format your page, I suggest justifying your type so you don't have indentations. Each verse is given a separate line and then cut into strips. 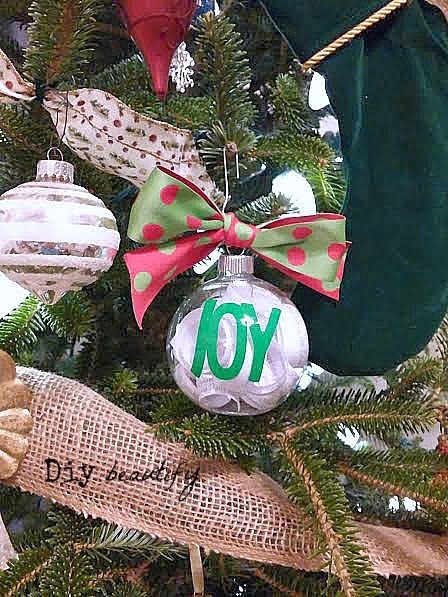 The strips are rolled tightly around a pencil and inserted into a clear glass ornament, with the writing on the outside. When you are finished, you have the entire nativity story inside the ornament! I then cut out the word 'JOY' using my Cricut machine. What better word to describe what Jesus' birth means for us? Finally, some pretty ribbon was tied around the hanging loop and it is ready for the tree. These would make wonderful gifts. 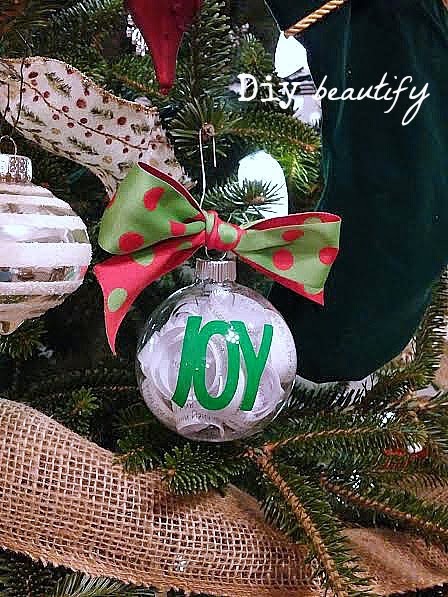 Seeing it hanging on the tree is a vivid reminder to focus on the JOY of Jesus' birth and all that means for us as believers in Him! But let's not forget the story! I wish everybody knew the joy of the story. Wishing you and yours a very Merry Christmas.